An exclusive collection of chakra music of unsurpassed creative depth and production quality that has become one of Christopher Lloyd Clarke's most acclaimed works. These soothing tracks will relax, purify and enliven the energy centers of your body. They are perfect for creating guided chakra meditations and are a wonderful complement to natural therapy treatments. The complete album includes 7 tracks of royalty free chakra music and is 65% cheaper than the price of purchasing tracks individually. Please allow me to walk you through the seven tracks I composed for Seven Sacred Centers and some of the ways the music may be used. 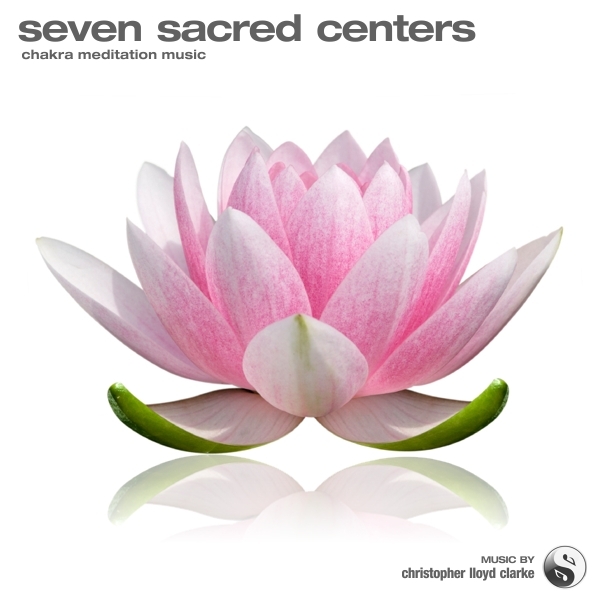 The music of Seven Sacred Centers was originally designed to complement chakra meditations, but these tracks are so versatile they can be used for many different purposes. They are often used to enhance natural therapy treatments, to create YouTube videos, in software applications or as a backdrop to almost any kind of guided meditation journey. The music of Seven Sacred Centers are all discrete tracks that fade in at the start and out at the end. In other words, they are not loops. However in the hands of an audio editor with some basic skills, each track can be quite easily looped. These tracks all contain some chorous/verse repetition so it is possible to link up these sections to extend the duration of the music if need be.